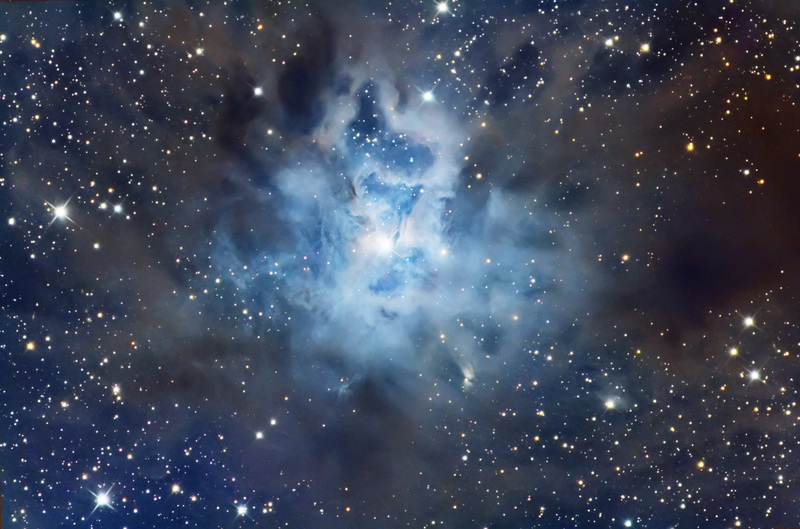 Published in Astronomy, January, 2006, page 115 (lead Gallery image). Published in Sky and Telescope, February, 2006, page 109 (full page). The image above was reprocessed using Jay Gabany’s method of streched contrast. 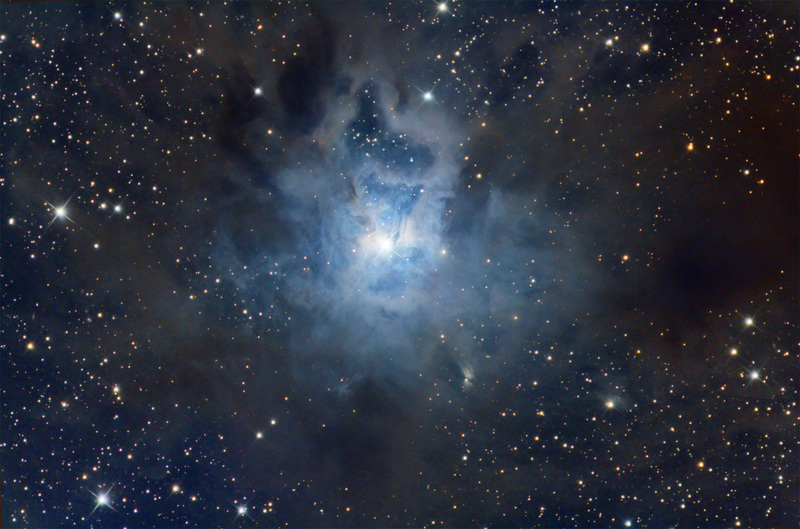 The image below is the published Iris Nebula.